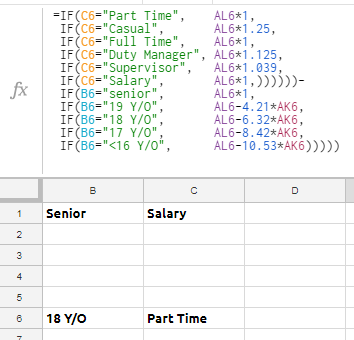 The first column is to deduct a certain value per hour, the second multiply the value per hour both pending the variable selected. However, I can't get them to work in tandem/the same line to populate a singular cell with both. Am I overlooking something simple?